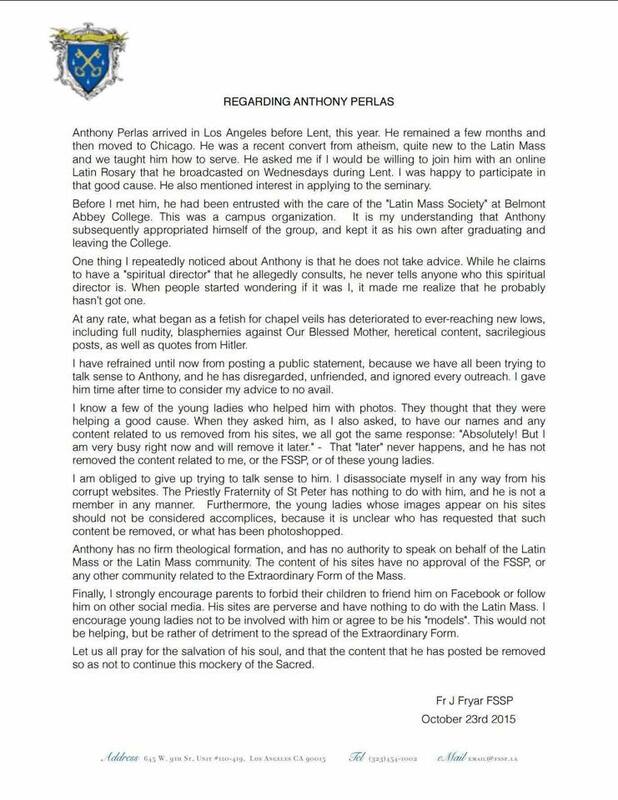 We have recently received alarming information about the “Latin Mass Society” being run by Anthony Perlas that has an online presence on various social media websites (facebook, etc). 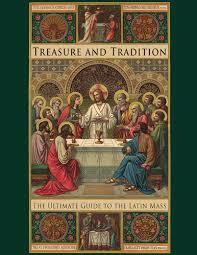 We originally heard about them from their chapel veils project that was initially promoted on other Catholic websites. Unfortunately it has deteriorated and seriously reached new lows (as Fr. Fryar describes here). We encourage others to be vigilant and spread this warning around. Thank you for the heads-up! I will be removing his comment from my blog. Re:Wearing a Veil to Mass. He found my post and wanted free advertising. I just checked out his facebook page and I will be spreading your warning about this blaspheming apostate far and wide! Thank you for posting this information. 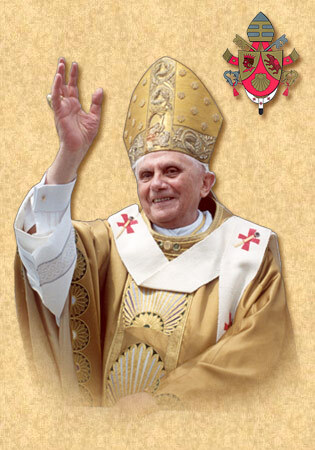 We will be more diligent in whom we accept as authentic devotees! 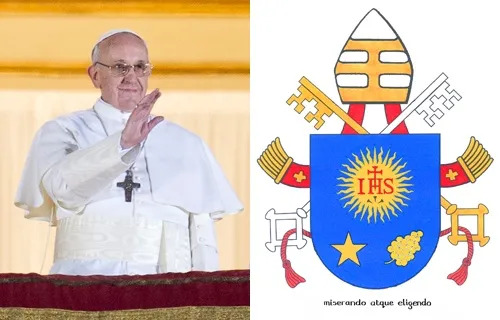 If he is an imposter or posing as a representative of FSSP when he clearly is not a campaign to remove him from Facebook (and other sites) can be launched. I looked at page and I need a shower. Thank you for posting this warning, Father Fryar. A note to other readers: there are two groups on Facebook with similar names: Latin Mass Society and Latin Mass Society USA. I only recently discovered the latter, but it appears to be entirely orthodox. 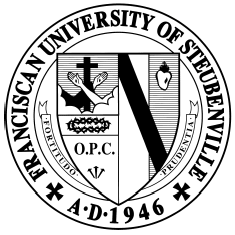 The former is Anthony’s group. The difference between the two will be obvious at first glance. Una Voce Georgia is spreading the word, just last week we were asked to promote this organization, how sinister.